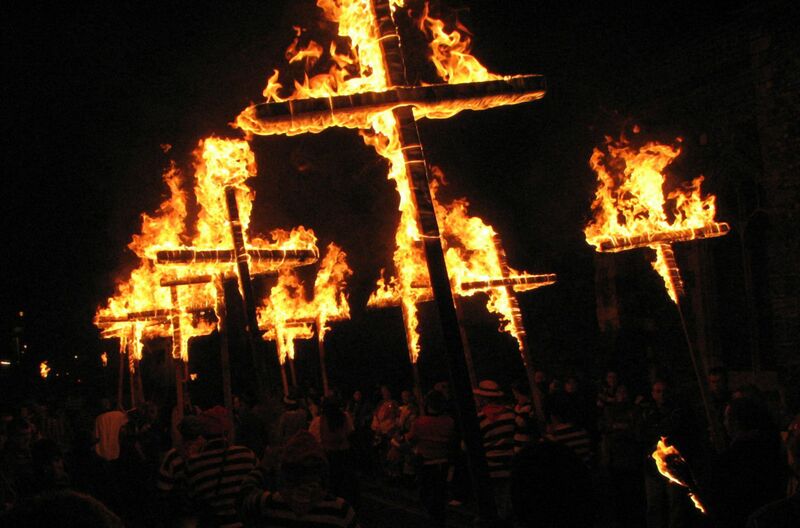 The short version of the story behind Bonfire Night goes something like this… In 1605, a group of men plotted to assassinate King James during the Opening of Parliament on November 5th, by blowing up the House of Lords in London. But the plan was foiled when, at midnight on November 4th, 36 barrels of gunpowder were discovered in the cellars beneath Parliament, along with the man in charge of them, Guy Fawkes. Things went from bad to worse for poor old Guy, when he and seven of his surviving conspirators were sentenced to be hanged, drawn and quartered, a particularly gruesome method of execution. 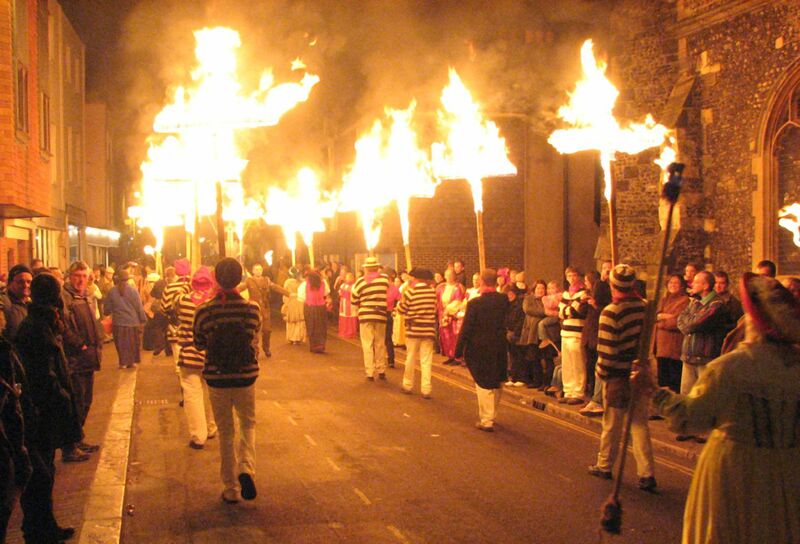 Over four centuries later, the towns and countryside of Britain are set alight on November 5th, in memory of what nearly happened. Despite traditionally miserable weather, the night sky is filled with fireworks and the entire country is dotted by bonfires. And on top of each bonfire is placed a man made of old clothes stuffed with paper and straw: the Guy. 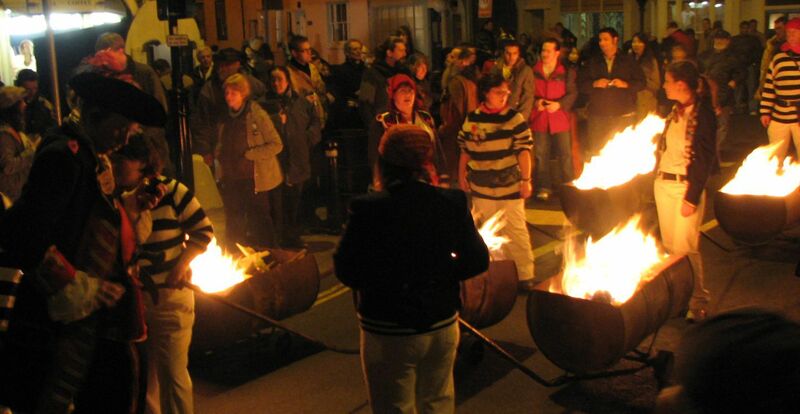 Many people have their own small bonfire parties in their back gardens, but a lot more go to bigger organised events. Unfortunately, these have been a bit dampened over the last few years by the wave of (some might say) over-the-top safety regulations in which the western world is drowning. 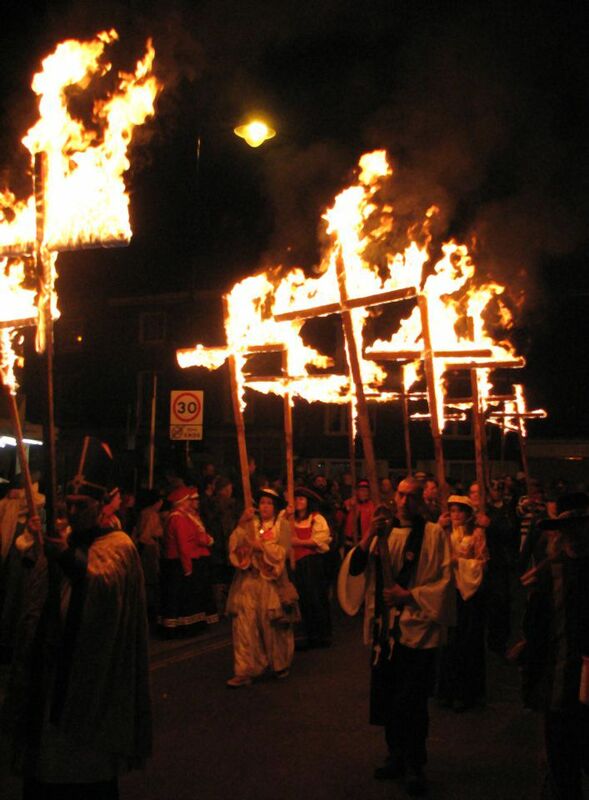 But there’s one celebration that remains unspoilt. 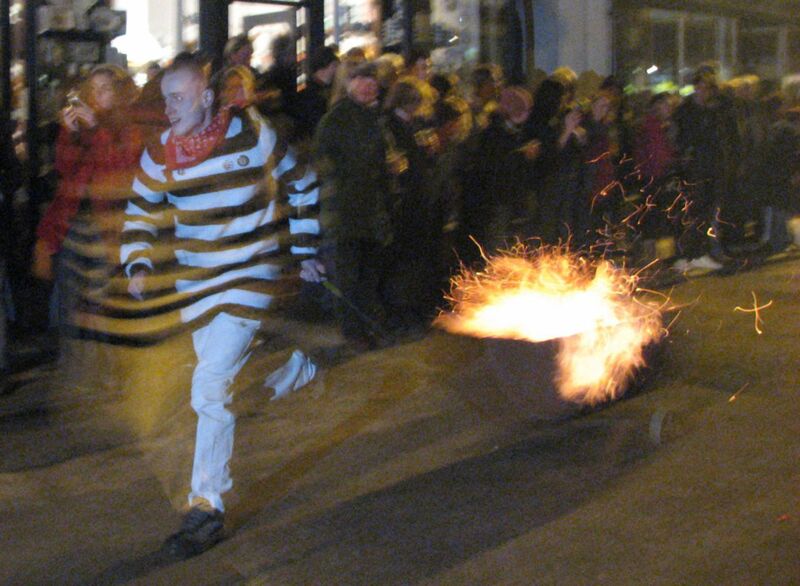 In Lewes, East Sussex, in the south of England, Bonfire Night is taken very seriously. 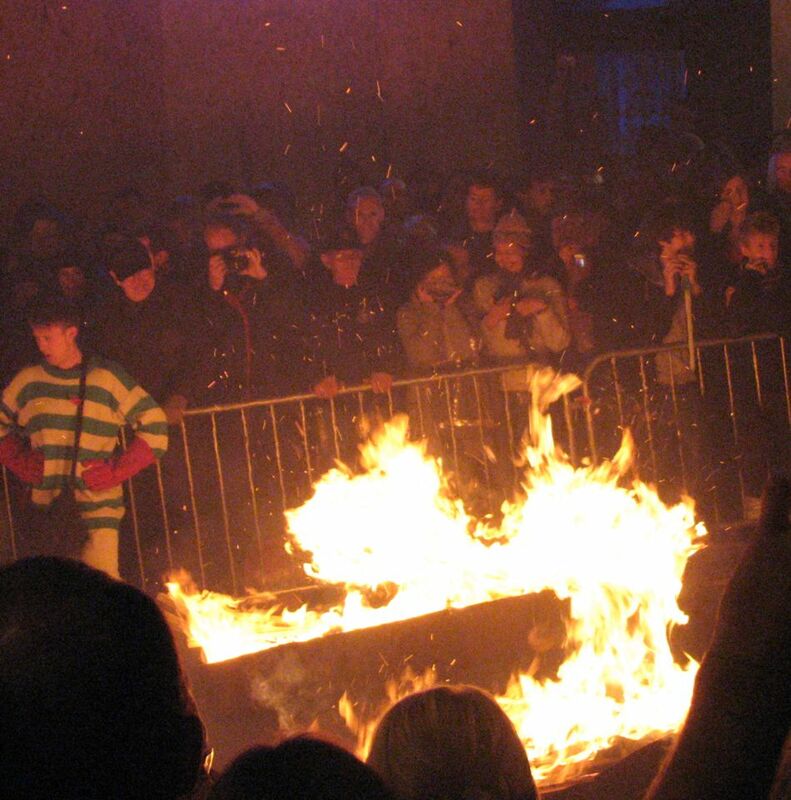 Not only does it commemorate the events of 1605, but also 17 martyrs burnt at the stake in the town fifty years before. 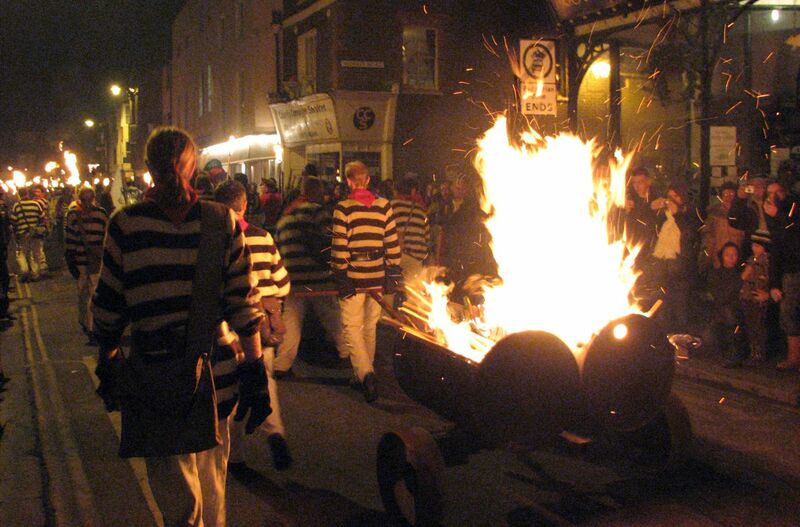 On November 5th, six of Lewes’s seven Bonfire Societies march through the town (joined by those from surrounding areas), complete with burning crosses and torches, barrels full of fire, and various effigies, including Guy Fawkes. 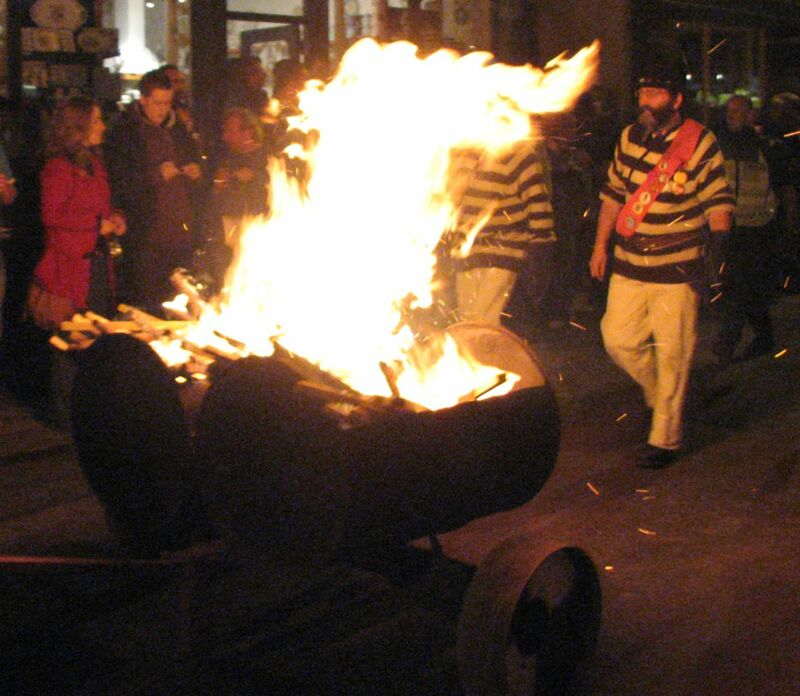 The night culminates with five massive bonfires (upon which the effigies are burnt) and immense firework displays. 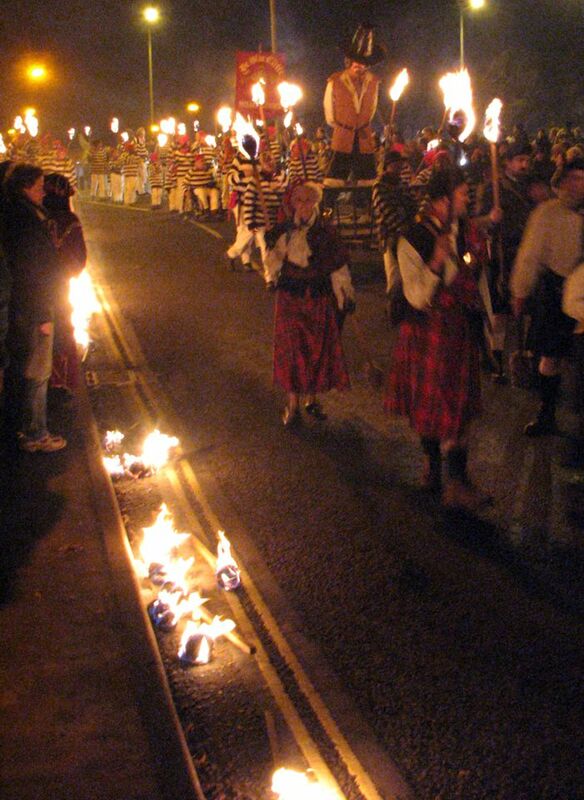 As many as 3000 Bonfire Society members and 80,000 spectators have been known to attend the festivities in Lewes. The slightly grainy photos in this blog are from 2008, when I was lucky enough to join them. 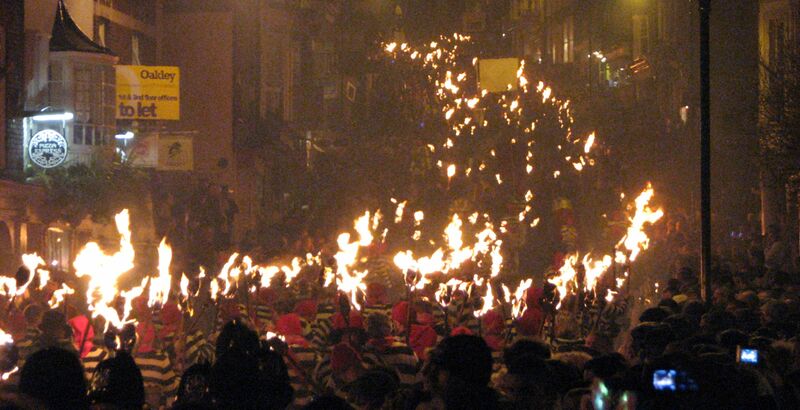 Thanks to the sight of Bonfire Society members, dressed in their particular society’s costume, racing through the streets of the old town with barrels of fire at their heels, I will definitely remember, remember, the fifth of November. This entry was posted in Adventure, Europe, History, Jaspa's Journey, Photography, Travel, United Kingdom and tagged Adventure, Bonfire Night, Children's books, Children's literature, East Sussex, Fifth of November, giraffe, Guy Fawkes Night, Jaspa, Jaspa's Journey, Jaspa's Waterloo, Lewes, November 5th, parade, photography, The Great Migration, The Pride of London, UK. Bookmark the permalink. Stunning shots! Thanks for the background information and history! Thanks Amy. Glad you enjoyed it!